AT&T have released a new software update for the HTC One X, the latest update is software build 2.20.502.7 and it brings the device up to Android 4.0.4 ICS, it was previous;y on Android 4.0. The update should be available now as an OTA update for your handset, and you can check if it is available through the setting menu on your HTC One X handset. AT&T recently dropped the price of the HTC one X on their network from $199 to $99, and the handset comes with a 4.7 inch HD Duper LCD 2 touchscreen display with a 1280 x 720 pixel resolution, plus a dual core Snapdragon S4 processor. 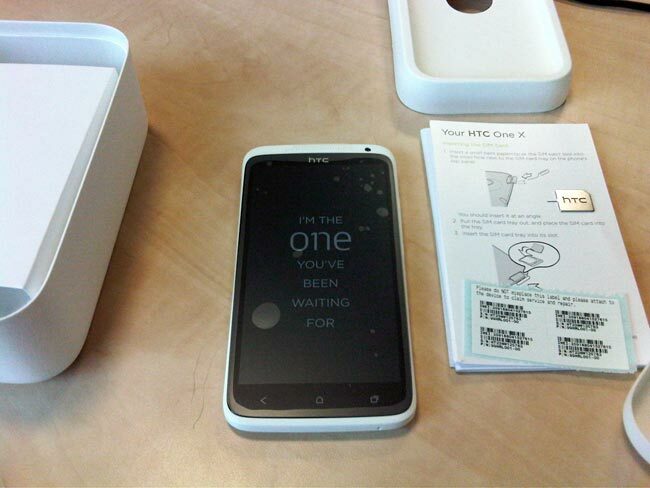 The HTC One X also features an 8 megapixel camera which can record HD video in 1080p, plus a front facing 1.3 megapixel camera for video chat, there is also 1GB of RAM and 32GB of storage.